For the pioneers who tamed the frontier, perseverance was a way of life. They left a legacy with the buildings they left behind. The timbers of these buildings are full of character – grain striations, knots, and the scars of huge saw blades that cut and shaped them. Once cut, the planks were nailed into place on the exterior of barns and other buildings. Over time, the sap inside the wood crystallized. 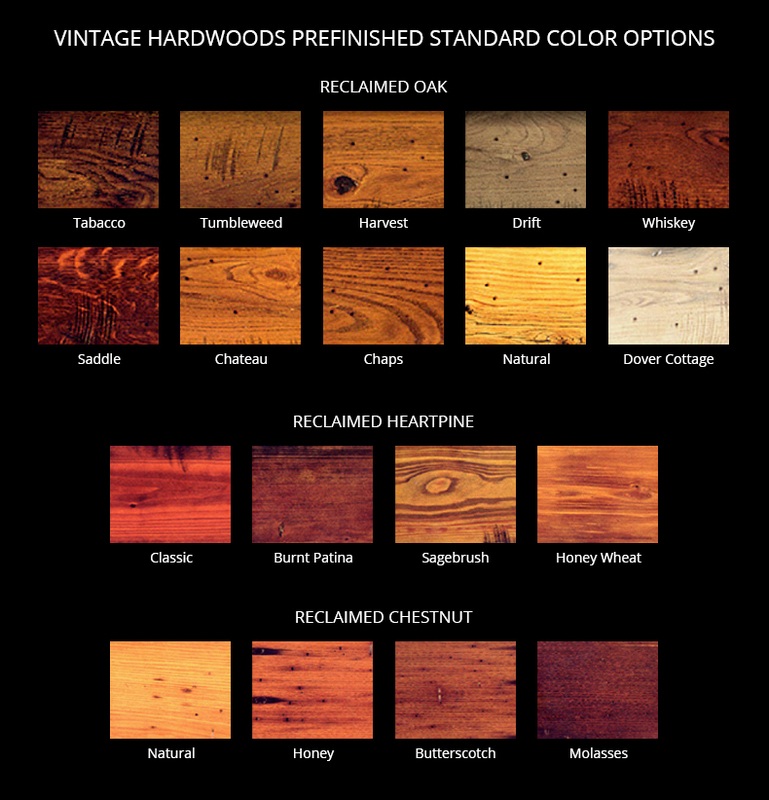 The wood expanded and contracted hundreds of times over the changing seasons. Now, you can make their legacy part of your home. We search for structures that have been exposed to harsh elements and endured over many years. Plank by plank, our specialists dismantle these monuments to the past by hand so the magnificent, age-hardened wood can live another life. We thoroughly kiln dry each plank before milling to ensure the antique floor in your home will be stable and insect free. Majestic old trees became buildings that prevailed against the elements and gained character along the way. That character lives today in our floors through grain striations, knots, nail holes encircled by iron deposits and the scars of huge saw blades that cut and shaped each plank. We offer our Vintage Hardwoods flooring in both solid and engineered platforms in 3/4” and 5/8” thick options. We offer single and random widths. The solid platform is available unfinished for site finishing, while the engineered platform comes pre-finished with hand applied water-based dyes and three coats of matte finish to seal and protect the plank’s beauty. Oil and wax finishes also available. We have a vast selection of rich colors to choose from and custom color matching is available. Available in Reclaimed Red & White Oak, Chestnut, or Long-leaf Yellow Pine. Custom stair fabrication standard or custom trim pieces are available and can be finished to match your pre-finished floor. Choose from base-shoe, quarter round, baseboard, reducers, transition pieces, or nosing. Your floor will draw the attention of everyone that walks in your home. Commemorate the origins and circa of your floor by integrating a plaque or engraved plank right into your floor as a point of conversation.